Happy Friday! I don't know about you, but I am itching to catch spring fever, and what better way to bring some blooms into your home (and without draining your wallet) than paper flowers? 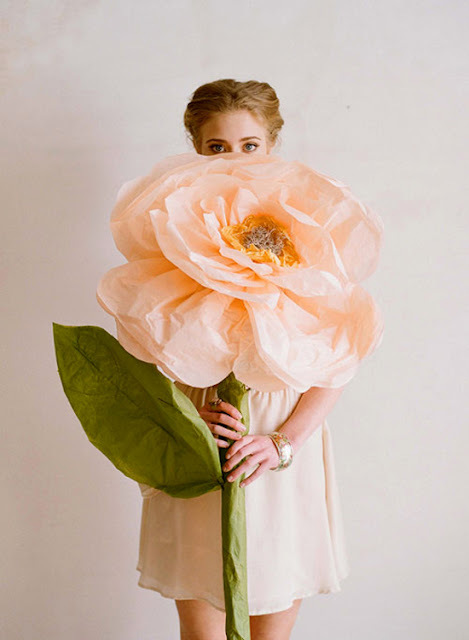 The blog world has been abuzz with the giant flowers made by the creative team over at Ruche (pictured above), and if you like those, then you'll love the paper flower roundup I gathered over at papernstitch. So get on over there to check it out, and have an amazing weekend!